Basin Street Records is a New Orleans based record label. 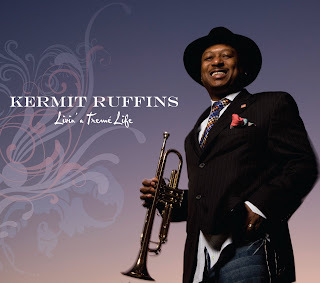 We are the label home to music from: Kermit Ruffins, Rebirth Brass Band, Jeremy Davenport, Theresa Andersson, Henry Butler, Irvin Mayfield, Jon Cleary, Dr. Michael White, Los Hombres Calientes, Jason Marsalis and the Headhunters. 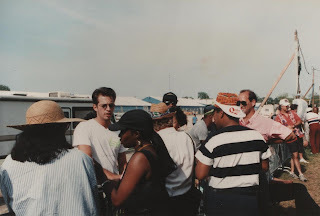 Here are some photos from the 1990 New Orleans Jazz and Heritage Festival. This year, 2009, is the 40th Anniversary. 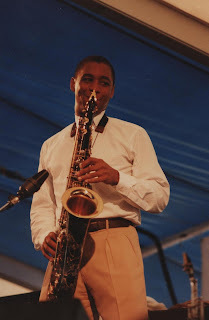 In these photos: Victor Goines, Jeremy Davenport, Jason Marsalis, Branford Marsalis, Ellis Marsalis, Harry Connick Jr. The New Orleans Jazz and Heritage Festival cubes are up at www.nojazzfest.com. Find out exactly where and when your favorite artists are performing. 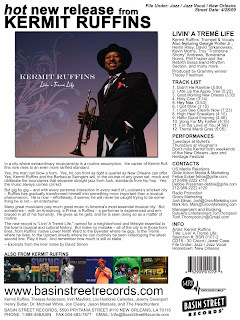 Basin Street Records has new CDs by Kermit Ruffins and Jeremy Davenport that will be available in the New Orleans area in time for Jazzfest. 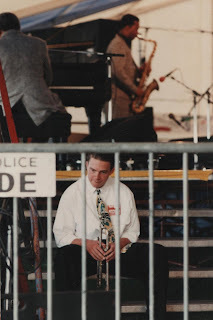 Listen to The Life and Times of IRVIN MAYFIELD on WGSO 990 AM in New Orleans on Mondays at 5pm CT (listen live at www.wgso.com) and listen from anywhere in the world to the archived shows HERE. 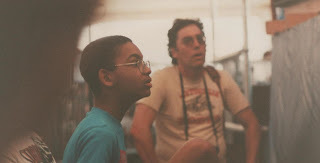 His first two guests were: James Carville and Wendell Pierce; and today: Mayor C. Ray Nagin. Join us at Irvin Mayfield's Jazz Playhouse in the Royal Sonesta hotel every Thursday, Friday and Saturday for great music from some of New Orleans' finest Jazz artists. 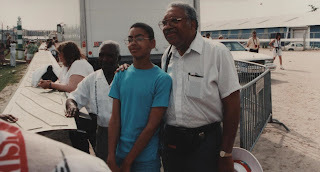 Pick up Irvin's latest CD with Ellis Marsalis: Love Songs, Ballads, and Standards today! Gambit Weekly (Bestofneworleans.com) announced the nominees for the Big Easy Entertainment Awards to be presented on Sunday, April 19th, 2009 at Harrah's New Orleans Casino. Coming April 28th. More details soon! New Orleans Jazz Fest Week 2. Try to Keep Up!